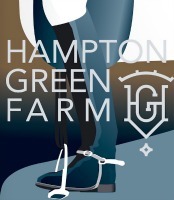 Fill out the application using the fillable form fields below or send it via email to Lendon Gray at graydressage@gmail.com. All form fields are required. Incomplete forms will not be processed. Tell us about the horse you want to bring to the clinic, Include his strengths and his weaknesses. We will check centerlinescores.com for your competition record. Is there anything you would like to add? Will you be doing schoolwork during the program? If you will be doing schoolwork during the program, how do you plan on completing it? Examples include online, tutoring, etc. Please briefly explain. Do you have housing set up? Do you have daily transportation set up? What are your riding goals for the end of 2018? Do you plan to do qualifying shows while in Florida? If you plan on doing qualifying shows while in Florida, for what are you trying to qualify? Are you willing to take direction from the stable manager? Please briefly explain your answer to the question "are you willing to take direction from the stable manager?" Can you work with a group of your peers in a positive way? Please explain your answer above. Are you willing and able to do fitness work daily? Can you sit through a one hour lecture and be attentive? What do you think you might bring to the program? How might you stand out from the others? In twenty years what would you like to be doing with your riding? Why should you be selected into this program and what do you hope to gain? Please provide a video (youtube link) of you and your horse. It need not be formal. This will help us get a sense of your riding and where you are at. On acceptance into the program you will be expected to pay half of the first month’s fee. The second half will be due December 1. Do you agree to make prompt payments in accordance with our payment policy? 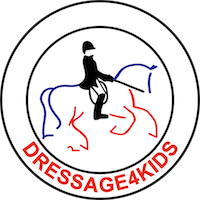 Dressage4Kids often takes photographs and videos during its events and activities. Dressage4Kids may use these photographs and videos for general publicity and programming purposes, including to raise funds. Pictures may appear on the website, on the Dressage4Kids Facebook page, in newsletters, and in other print and digital marketing materials. In addition, participants’ names may be used to recognize individual achievement in marketing materials.